If you are looking for the meaning of a symbol, this is a recommended book list from the most used symbolism books in our reference library. 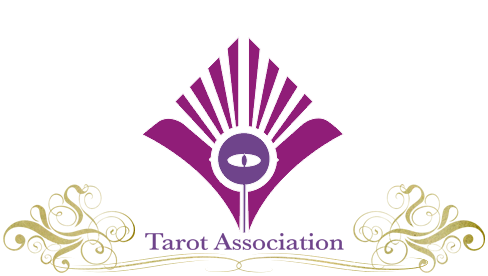 We have listed these in the order most likely to be encountered in your tarot decks, starting with the work of A. E. Waite and Pamela Colman Smith in introducing so many symbols to the Minor Arcana in the Waite-Smith Tarot (1909-1910). If you want to know what the snail stands for in the 9 of Pentacles, or the mis-matched shoes on the 7 of Wands, and how to use these in a tarot reading, start with our own book, Secrets of the Waite-Smith Tarot which reveals new research for the first time in a century from Pamela’s life and background. 1. 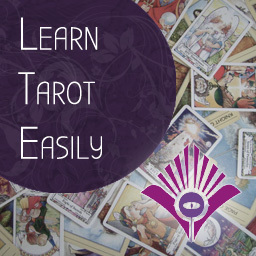 Secrets of the Waite-Smith Tarot by Marcus Katz & Tali Goodwin (Llewellyn, 2015) – a guide to the symbols in the Waite-Smith Tarot with new research and discoveries. For general symbolism, here are our top three recommended books, of which Cirlot is the classic text. There are many other dictionaries of symbols and of course no-one can be comprehensive as everything can be a symbol of something else. If you need to know the symbolic meaning of a blue paperclip being turned into a talking piece of wire, you may need a specialist! For everything else (what does a black cat mean, or a circle, etc.) these are our most consulted books. 2. A Dictionary of Symbols by J. E. Cirlot (Welcome Rain, 2014) – originally published in 1962, this is a classic text on symbolism and essential reading. 3. Penguin Dictionary of Symbols by J. Chevalier (Penguin, 1997) – is not illustrated but contains a wealth of material from different authors and sources. 4. An Illustrated Encyclopaedia of Traditional Symbols by J. C. Cooper (Thames & Hudson, 1987) – illustrated. When you work with tarot or other esoterica, the Freemasons and their specific symbolism may have been there for a while. It is worth knowing a bit about the most common freemasonry symbols in case one turns up in your dreams or visions through you having seen it unconsciously on a tarot card or TV show. 5. Symbols of Freemasonry by Daniel Beresniak (Assouline, 2000) – a good starting point and general overview of the most common freemasonic symbols. The basic language of occultism is Alchemy, which speaks of the transformation of one thing to another, and mainly ourselves into spiritual or divine beings. There are several dictionaries and collections of alchemy symbolism, but these can be a bit overwhelming to the general reader. We recommend our friend Adam Mclean’s foundation study course, which also discusses the most common alchemical symbols and their meaning. 6. 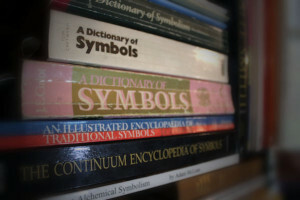 Study Course in Alchemical Symbolism by Adam McLean – more than just a dictionary, this is the best starting point for the consideration of alchemical symbols. Along the way in your studies, you are likely to come across our esoteric roots in ancient Egypt, whether actual or made-up a while ago. It is good to understand the general nature of Egyptian symbolism, magick, gods and goddesses for general reading. 7. Gods and Symbols of Ancient Egypt by M. Lurker (Thames & Hudson, 1994) – perhaps a little dated now, but a good starter reference to Ancient Egyptian symbols, gods and goddesses. Everyone will have their own take on numerology, we give here one of our most recommended suggestions, and a link to our longer numerology book list for the Numerology module on our Hekademia 2-year tarot course. 8. Numerology: The Romance in your Name by Juno Jordan (Devorrs, 1984) – way ahead of its time, a classic text on numerology and the meaning of numbers. We have a more detailed numerology book list here (scroll down the screen). 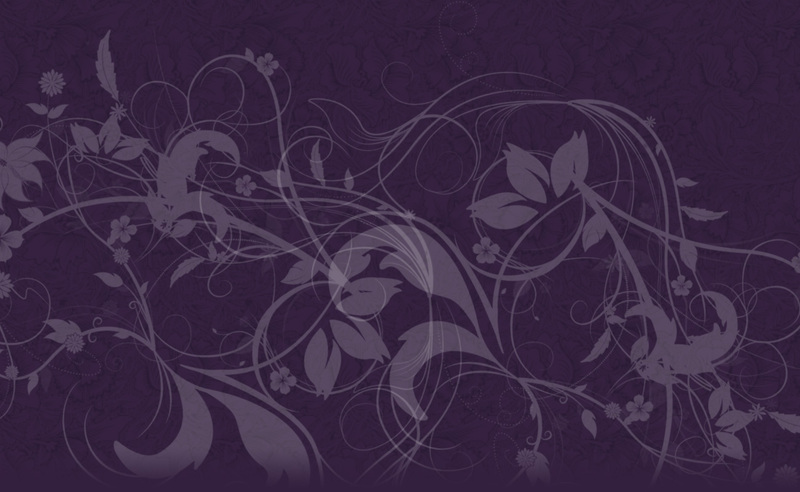 Finally, we cover the symbols of nature, which often inspire tarot symbolism and appear in our own visions and dreams. 9. Folklore and Symbolism of Flowers, Plants and Trees by Lehner, E & Lehner, J. (Dover, 2003) – a nice guide to traditional symbolism. 10. Animal-Speak: The Spiritual & Magical Powers of Creatures Great & Small by Ted Andrews (Llewellyn, 2002) – a very popular entry level book for animal symbolism. Further Symbolism Books of interest to the student of symbols. A Dictionary of Angels by Gustav Davidson (Free Press, 1994) – when Tali Goodwin was working on Angel lore, she found this was the book from which all others had drawn. Whilst it takes a theosophical approach, Geoffrey Hodson’s classic 3-volume Hidden Wisdom in the Bible is full of gems for interpreting the bible as a journey of spiritual initiation.